Share this product and receive a $0.29 sharing discount. 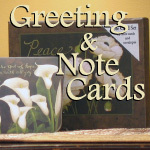 Enjoy this Boxed Set of Note Cards - 13 Note Cards & Envelopes. Scripture in blank note card is Luke 12:34. Our new Boxed Notecard set includes 13 fully designed notecards in an absolutely exquisite box. Cards are fully designed inside and out and include full color envelopes. The box even has a magnetic closure. 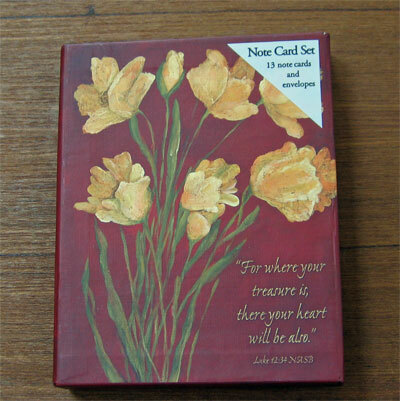 When the cards are gone you can use your box as a keepsake box. Box Size: 4 3/4" x 6". Card Size: 4 1/8" x 5 1/2".